Two of rap's most polarizing, sound-defining figures of this year (Chief Keef and Future) link up with Mike Will Made It, who is no slouch in the sound-defining producer category either, for "Dead Broke," an ominously minimal track that features Future croaking out some extra pained auto-tune, and everyone else doing dead-eyed threats as they love to do. It's not like it's the most amazing song any of these guys have done, but if someone hopped out of a time machine and was like, QUICK! EXPLAIN TO ME WHAT IS GOING ON IN RAP THESE DAYS, you could play them this and it would seem like a pretty accurate representation of dudes getting so dark that they come out the other side making some pretty weird stuff. 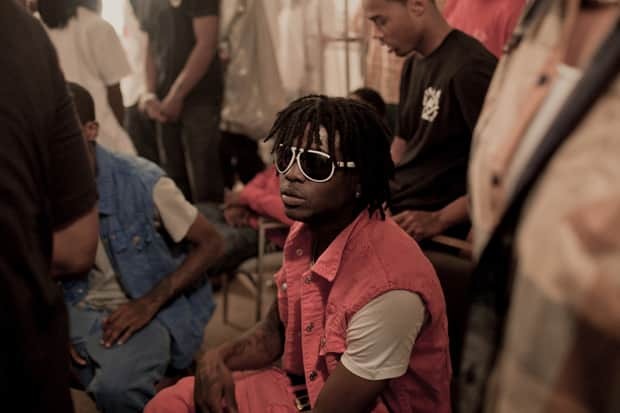 Download: Chief Keef f. Future, Fredo Santana and SD, "Dead Broke"